Kent is a Director with Cyber Risk Services. He has over 25 years of experience in cyber security across a variety of different industries. 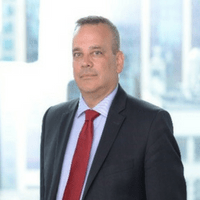 Prior to joining Deloitte, Kent served as the Chief Information Security Officer (CISO) for the Government of Ontario. Prior to this position, he served with Public Safety Canada’s National Cyber Security Directorate, the Royal Canadian Air Force and the Royal Canadian Mounted Police. Kent has focused on cyber security since the mid-1990s.